Each card has a different image, space shuttle name, mission number and useful facts about the mission. 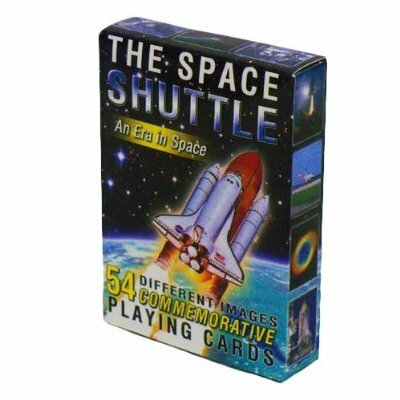 Commemorative space shuttle playing cards. An era in Space, celebrating 30 years of space exploration!